Nintendo takes a lot of crap for its reluctance to provide even rudimentary online features, and rightfully so. But I have to admit, I'm a big fan of the Virtual Console service on Wii and 3DS. The convenience of having Super Mario Bros 3, Super Mario World, and Super Mario 64 all in the same tiny system was too much for me to ignore: I happily bought them all even while their systems and cartridges were mere feet away from my TV. It's more rewarding, though, to discover classics that I missed out on as a kid. One such game was Shinobi III: Return of the Ninja Master. Though I owned a Genesis as a kid, all I ever played were Sonic games. Cutting through the excellent ninja sidescroller via the Wii's emulation service, I felt as though I'd rectified a childhood oversight. 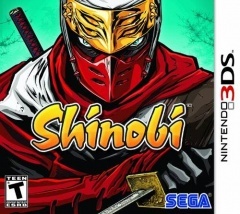 Retro revivals are all the rage, and Shinobi's getting in on the action on 3DS. The new game is a prequel, simply called "Shinobi" in accordance with the entertainment industry's efforts to confound posterity by recycling the same titles over and over again. Judging from the low poly character models, I actually suspect Shinobi 3DS actually began development on Nintendo's last generation DS and was hastily upgraded. But hey, it's not the visuals that matter to me, it's the tough-but-fair sidescrolling action. Let's see if that's still intact. Nintendo likes to think that the Mario series is a good gateway into this hobby. To its credit, the original Super Mario Bros alone is responsible for millions of current video game enthusiasts (myself included). Even today, I've witnessed the welcoming effect that games like New Super Mario Bros and casual-friendly spinoffs like Mario Party have on those who rarely touch games. There's one segment of Mario's work that is an exception, far out of beginners' reach: Super Mario 64 and its successors in the same 3D platforming vein are not for newbies. I thought otherwise before I observed a friend floundering through the opening stage of Super Mario Galaxy for nearly an hour, steaming with frustration all the way. He can wind his way around a Mario Kart course. He outwitted GLaDOS at his own slow, careful pace. He even made admirable progress in Ninja Gaiden Sigma (on easy mode, yes, but Ninja Gaiden all the same). And yet, Mario's least-demanding 3D outing was far too much for him. 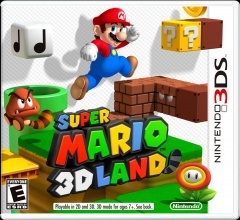 Nintendo sees this and offers Super Mario 3D Land. Borrowing aesthetics and rules from the NES games that birthed millions of today's gamers, the first Mario game for Nintendo's 3DS aims to nosedive the barrier of entry. That's a tall task in and of itself, but I'm more concerned that all this catering to beginners will diminish the things I love about 3D Mario: 64's complex and joyful movements, Sunshine's sprawling, layered environments, and Galaxy's inventive scenarios. Novices can work their way up to 3D Mario like I did, so don't deprive me of the next Super Mario 64 for their sake! What can I say? I'm selfish. But Nintendo has earned my faith when it comes to Mario, so I start the game wary but eager. In Mass Effect 2’s opening minutes, Commander Shepard’s ship is destroyed and our hero is tossed lifeless to a desolate planet. After a quick title sequence, Shepard is revived in a state-of-the-art facility and the game kicks off properly. The period of Shepard apparently burning up in the planet’s upper atmosphere and then looking as good as new is quickly brushed upon but there are bigger aliens to fry in the galaxy. For the curious fan trying to put the pieces together, or just experience everything BioWare has to offer, a series of comics were released by Dark Horse. Mass Effect: Redemption details Liara’s rescue of Shepard’s body from the Collectors and the Shadow Broker, and its delivery to the Illusive Man at Cerberus. 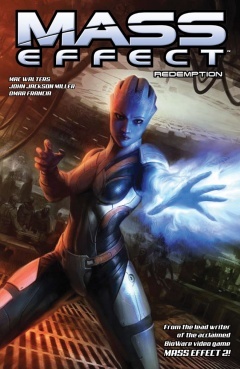 Published as a set of four and kicking off in early January 2010 before Mass Effect 2 was released, Redemption also serves as what is, at this time, a series of six comic books covering a wide range of characters and locations in the universe. 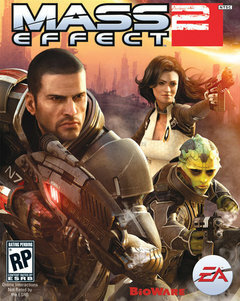 I plan to cover them all before the release of Mass Effect 3, but let’s start with the first one. Two franchises I consider to be inherently Japanese are Dragon Quest—really, Dragon Warrior—and Pokemon, and both were born under the mighty and massive RPG tree, but have had their fair share of spin-offs. With Pokemon, its ranged from zaniness like taking pictures to brawling with other well-known gaming characters to rogue dungeon crawlers. As for Dragon Quest, they took a page out of their younger sibling's book, releasing Dragon Warrior Monsters in 1999 for the Game Boy Color; in it, a young boy is out to save his sister by collecting monsters, breeding them, and pitting them against other monsters. Pretty close to the Pokemon formula, but naturally featuring the classic monsters of the Dragon Quest franchise. Things like slimes, gremlins, and wyverns. There was more of a focus on taming monsters than simply capturing them, too. But it hooked players nonetheless. 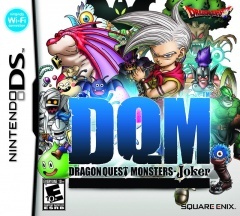 The monster-raising series has continued on over the years, and I'm here today to give TOSE's 2007 Nintendo DS release Dragon Quest Monsters: Joker a try, a few weeks shy of the sequel's release. I have no expectations other than Pokemon mixed with my favorite classic RPG monsters, and maybe some light implementation of the DS touchscreen. And I hope the joker subtitle has nothing to do with that crazy jester from Dragon Quest VIII. Remember the first time you heard the Super Mario Bros. theme? Or The Legend of Zelda overworld song? They are classic bits of music that have been replayed and remixed hundreds of times. Some games would undoubtedly not stand out as much in the nostalgic corner of our mind without their tunes to accompany them. A focus on quality game soundtracks seems to be on the rise, with indie titles Bastion and Jamestown both featuring a robust cache of songs that not only sound great while playing the game, but seem appropriate to listen to any other time of the day. There was a time at the end of the SNES ere and throughout the PS1 lifetime that video game soundtracks were huge. Through a combination of audio CDs becoming cheap to buy and MIDI files even cheaper to trade, games like Chrono Trigger, Donkey Kong Country, and Final Fantasy VI laid the groundwork for game music relevance. Which brings us to Squaresoft's 1999 JRPG, Final Fantasy VIII. Nobuo Uematsu, longtime Final Fantasy composer, spent years writing music for the robust but limiting NES and SNES consoles before finally chewing his teeth on CD audio with the PS1. 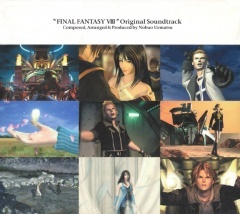 But Final Fantasy VII, while featuring a quality soundtrack, turned out to be merely preperation for Final Fantasy VIII. Here's my review of its Original Soundtrack. 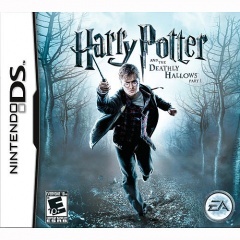 Some months back, while browsing the shelves at our local GameStop, my wife picked out Harry Potter and the Deathly Hallows, Part One for the Nintendo DS; I had earlier warned her of the bad reviews for the Kinect-heavy atrocity of the same name that dropped on the Xbox 360, and we both assumed that the DS version would almost have to be better than that. However, she did not play for very long, returning to her staples of Animal Crossing: Wild World and The New Super Mario Bros. She either lost interest or got stuck; at one point, I had to help her through an unclear potion-making minigame. With the final installment of the final movie creeping closer, I thought this would be a perfect time to see how solid of a Harry Potter game it actually is. Plus, I had some time to kill while on vacation. I just finished up my playthrough of the hardest difficulty in Mass Effect 2, and in the process finished unlocking all the game’s achievements along with playing all the downloadable content released after my first playthrough. I missed quite a bit of content, including Overlord and Lair of the Shadow Broker, but that’s all been played and reviewed now. Which leaves me with just Arrival, the most recent and supposedly last piece of DLC released in February 2011. It is meant to bridge the gap between Mass Effect 2 and Mass Effect 3, and from the E3 preview of the third game, it will kick off with Commander Shepard feeling the repercussions of his decisions in the DLC. An interesting decision to place a semi-major plot element in a paid piece of content, but that’s business. After a bum-rush of Mass Effect 2 related reviews over the past few months, this is probably my second to last piece on the game. I’m planning a Daddy Issues feature and that will be it (unless BioWare sneaks another piece of downloadable content on us, which seems unlikely). But don’t worry, I still need to write about all the different comics in the Mass Effect universe, so there is still more to come. Mass Effect: Arrival costs 560 MS points or $7. You may be surprised to find out the Mass Effect novels are not about Commander Shepard, or any of his squadmates, or feature any of the major events that take place during the games. BioWare and author Drew Karpyshyn have been very careful in not allowing any kind of canon Shepard to be declared. An individual’s Mass Effect experience is heavily influenced by the decisions they make, and the writers don’t want any outside influence to indicate someone is doing it right or wrong. But the novels have successfully created their own small cast of characters and locations. Mass Effect: Revelation served as a prequel to the series, and while it introduced us to Captain Anderson and Saren, Kahlee Sanders quickly became the character to identify with. Ascension follows Sanders through her run in with Cerberus and training of human biotics, but also teases at some of the locations we would see in Mass Effect 2. Now with Mass Effect: Retribution, we continue to follow Kahlee, but seemingly brush up against the world of the games a little closer. In most ways, Retribution doesn’t feel as much like a prequel to Mass Effect 3 as Ascension did to 2, but some groundwork is laid. 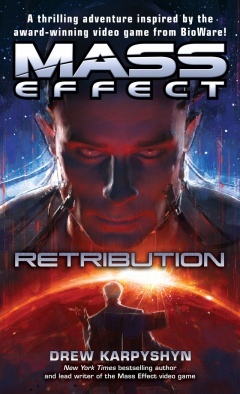 Here is my review of Mass Effect: Retribution, written by Drew Karpyshyn and released in July 2010. With Lair of the Shadow Broker, Mass Effect 2 finally gets the add-on fans have been waiting for. Additional characters in Zaeed and Kasumi are great, and Overlord was a decent side story, but Shadow Broker is the real deal. The DLC not only brings back fan favorite Liara from Mass Effect 1, but features a pair of excellent boss fights and some awesome action set pieces. There’s also a handful of bonuses available after the action is over, extending and expanding upon the main game’s feature set. Available for 800 MS Points ($10) since July 2010, here’s my review of Mass Effect 2’s penultimate DLC, Lair of the Shadow Broker. Stay with me for a moment. 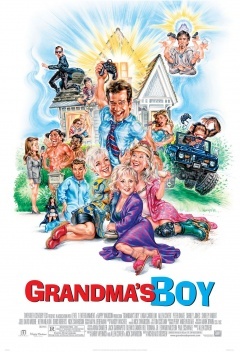 Yes, I’m reviewing Grandma’s Boy, the lowbrow comedy produced by Adam Sandler five years ago starring Allen Covert. Yes, its connections to video games is loose, but when I started reviewing movies a few years ago, I didn’t just want to write about crappy game-to-movie adaptations (see Lara Croft Tomb Raider: The Cradle of Life). I also wanted to write about movies about video games, even if they’re just used as a backdrop and MacGuffin (see Grandma’s Boy). But buried beneath all the gross out humor, pot smoking, and before-he-was-famous-but-still-fat Jonah Hill, there’s actually quite a bit of video gaming in Grandma’s Boy. Some of it is flat-out hysterically wrong, but a small chunk is actually interesting video game history. So here’s my review of Grandma’s Boy, focused mostly on the relevant video game aspects of the film, without forgetting Freaks and Geeks’ awesome Linda Cardellini.